When I graduated from college and was looking for a place to live in my hometown, my options were very limited. There aren’t many places for rent in my rural hometown, so buying a house seemed like my only option (although now I know differently). The bad thing about deciding to buy a house is that I had no money saved up for a down payment, closing costs, or other necessary expenses that come with buying a house. Luckily, my parents graciously offered to help me with my down payment and pay the closing costs too, as long as I agreed to pay them back when I was able. Borrowing money from family is often a huge no-no. I don’t disagree. 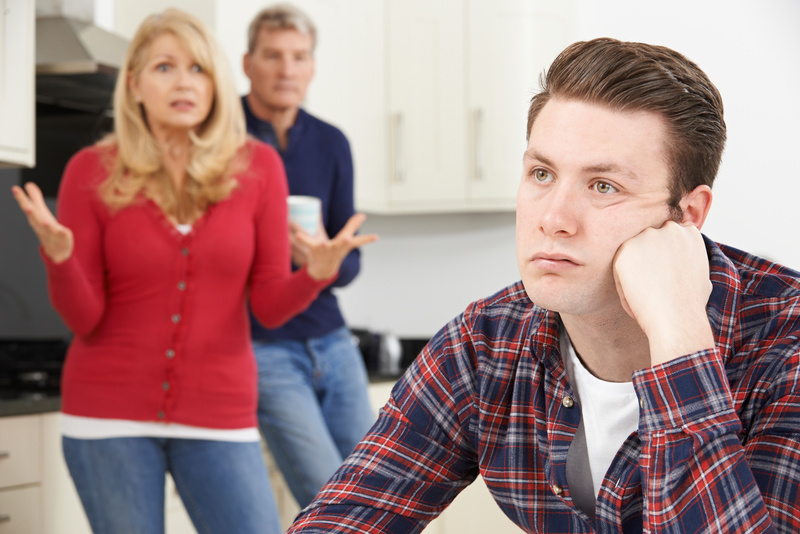 Although my parents and I haven’t had too much trouble with our lender-borrower relationship affecting our parent-child relationship, it can still be weird (and even tough) at times. Here are 2 reasons why owing money to family can be difficult. Things can get messy when people accept money from family or friends. Sometimes there aren’t clear “terms” set around the money, which can make it difficult to determine if the money is a gift or a loan. In my case, my parents were clear that the money was a loan to help me get my home purchased. But they were lenient on how quickly it needed to be paid back. No set terms were created for repayment. The flexibility my parents gave me with this loan is nice, but it can also be a bad situation if one party begins to get hurt or angry about how the borrower spends their money. For instance, the lender might be upset to learn that the borrower spent money on new shoes instead of paying back their debt. Another issue that might arise is if the lender suddenly finds themselves in a tough financial position where they could really use the money they lent to you. As I continue to work my way out of debt, it can be difficult to decide who to pay off first. From a purely financial position, paying back my credit card debt first makes the most sense because it will save me a bunch of money on interest – especially, since my parents aren’t charging any interest on the money I owe them. On the other hand, paying my parents back for their generosity is a good idea. Not only will paying them back quickly prevent possible squabbles about money, but it also shows them I’m grateful for their help. Ultimately, I decided to make at least small payments to my parents each month so they understand that I do care about paying them back. But, I still couldn’t resist paying my credit cards off more aggressively due to their high interest rates. Of course, the best solution to the entire situation would have been deciding to rent a home or apartment while building up some savings. That way, I could have afforded to buy my home on my own without owing money to my parents. I loaned my sister and her husband $45000 to buy a car wash. They are paying me back quarterly at a very reasonable interest rate. I look at is as an investment in a small business (which cash flows very nicely). I am pretty sure that I will get all my money back plus interest. If I don’t get it back I will harbor no ill will. I’m glad things are working out well between you and your sister. That’s great! Loaning money to family doesn’t always work out so well. I got a loan from my mom and she never set up a repayment schedule with me. However, my goal is to have the loan paid off by the end of the year. I think when you have a loan with family plus other debt you should pay a little every month to that family member. That way if you’re ever in a bind, they know you’ll pay it back and will be more likely to loan to you again. I agree with you – even though I’m in high interest credit card debt, I still make a payment to my parents each month even though they don’t require it.